For the Pennine Sporting Trial or Yorkshire Dales Classic Trial please use the links at the bottom of the page. Airedale and Pennine Motor Car Club has recently seen a big increase in membership, many of whom are looking for a varied range of events. 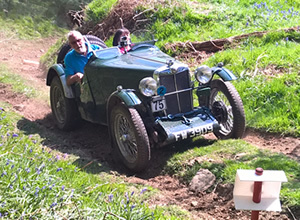 Our members have competed in modern single venue rallies, multi venue rallies, historic rallies, classic car trials, production car trials, sporting trials, autotests, autosolos and treasure hunts. 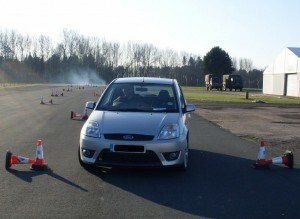 Our Production Car Autotests, a series of six events, have become firm favourites in our calendar. 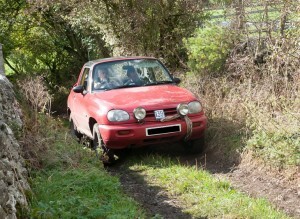 Taking place at the Rock & Heifer car park on Sunday morning and lasting around three hours, we get chance to compete keenly with a minimum of expense. The series runs from October through to March and is now in it’s fourth year. Refreshments are included in the entry fee and Lunch is available afterwards in the restaurant. Our Classic Trial is open to entrants across the nation and attracts competitors from Cornwall to Carlisle. Starting in Pateley Bridge, it takes some six to eight hours to complete the eighty road and dirt-track miles and up to twenty rough sections. 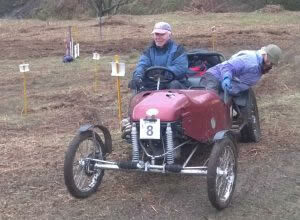 The Pennine Sporting Trial is held at Longnor, near Buxton in March and is a round of the national championship. Run on very challenging terrain with steep hills and tight corners, the cars and competitors have to be very nimble if they are to climb the marked sections without penalty. Our Rally enthusiasts have regularly competed in a wide range of modern and historic rallies around the UK, including the Three Legs of Mann, Ilkley Jubilee, Berwick Classic, Lake District Classic, White Rose, Blue Streak, Rally of the Tests, Warcop Stages, Tyneside Stages, Pendragon Stages, Cheviot Stages and others. Production Car Trialling is well represented by the reigning British Champion and member of the winning Regional Championship team along with a number of other members who compete at club and regional levels. Airedale and Pennine are keen to recruit new members into a growing and dynamic motor club and can offer a variety of other social attractions including ten pin bowling, kart racing, clay shootings and visits to restaurants. We run our regular 8.30pm social evenings on the second and fourth Monday at the Rock & Heifer, Thornton, Bradford, BD13 3RH and competitions are run at various times throughout the year. Please see individual pages for meeting locations.